A Scottish University leader has waded into controversy by declaring her university’s support for the Union. The Prime Minister David Cameron was accompanied on his Olympic Village sortie when he appealed to the rest of Britain to save the Union, by Professor Pamela Gillies, the Vice Chancellor of Glasgow Caledonian University. Many viewers were puzzled why the lectern used by Cameron bore the name of the university. It was provided by a mini campus the university uses in Brick Lane in London. The overt campaigning by the vice chancellor will raise alarm bells in the Scottish government as so far academics have expressed views on individual policies and expressed concerns about uncertainties over research funding and fee charging for English students. But no senior university leader has until now declared that they are joining the campaign on either side. The university is funded by the Scottish government so relations may cool. It is a charity so there may also be concern at the regulator about political campaigning. It is difficult for Gillies to claim it is a personal commitment since she allowed the university to be publicly identified in this way. The overt backing for a No vote flatly contradicts statements from Alistair Darling that universities were being intimidated in staying quiet and staff who are currently in dispute with the university will be infuriated that they are aligned so closely with a Tory Prime Minister and the No campaign. It is expected that students will also be repelled at the association. So Prof Gillies thinks she escapes accusations of bias by saying she will ask other Global Leaders to give addresses. Is she naïve or just not very brainy? If you ask a politician to make an address as part of a programme of speeches you ask him to come to your premises and speak to you in front of your banner etc. You do not “co-host” with the speaker and agree to shift venue to an overtly political venue selected by the politician for his own partisan reasons and in the knowledge that he is about to make his most important intervention so far in a debate that could lead to the end of Britain. She says her previous speaker was Mike Russell. For God’s sake, how do you compare the Education Secretary with the Prime Minister…Is Mike Russell now a Global Leader? The net result here is that the whole world now thinks her university is backing the Union…the story and image is beamed globally. In fact she is now in a position where she will need to make a declaration that she is not partisan, despite all the evidence to the contrary. Professor Gillies has been used or has allowed herself to be used and that image – of the Tory PM pleading with the people to appeal to the Scots behind a sign reading Glasgow Caledonian University – will turn into an image for history. How out of touch is Alistair Darling? On the day he told the Guardian that university principals were afraid to speak out, Professor Gillies marched out to the rostrum in an empty stadium with our Tory Prime Minister and hosted him making the most committed speech so far for the Union, managing to convey exactly the opposite impression. This is one of the most intemperate and personalised statements I’ve heard in the campaign in which Alistair appears to be losing the plot. It isn’t the first time he’s sounded like Mr Angry, impatient that people aren’t doing as he says. He has become the personification of the BetterTogether effort…obsessively negative, shouty and low-brow. He was brought in to take the overview, to guide and elucidate. Instead he’s shown us why he didn’t offer himself for Holyrood – he hasn’t got the class. When BT Orwell team update history, the CU Lecturn will be used to prove ‘chicken Dave’ was in Scotland! Students will be more than appalled I’d imagine. This runs counter to the very function of the university and the role of a Vice Chancellor. It is not the role of Prof. Gillies to align with either campaign, but instead to facilitate debate, discussion etc. Or in other words to stay out of politics. Of course there are institutional interests to protect but when Vice Chancellors begin to engage in open politicking they are in dangerous territory. There are some doubts within the university sector, they are worried about research funding in particular. The white paper proposals are ones I disagree with, not because I don’t think we need to keep frameworks where universities collaborate, far from it, but because I feel it was a lost opportunity to set out more ambitious proposals. The fact is that our universities are under funded compared to the best universities elsewhere: they need more money. Keeping the current research council arrangements and funding contribution is really no more than a compromise. In the longer-term we need to increase that funding and pursue research aims which are tailored to the specific needs of scottish universities. This should have involved a greater financial commitment, and the establishment of our own research councils, encouraging collaboration between our own universities and beyond. Anyway, If it really is the case that Prof. Gillies is openly associating herself with the no campaign, that will be a very grave error on her part. I’d imagine the various student bodies at Glasgow Cal will have quite a bit to say about it. I have worked for various large organisations in my time. Would it be appropriate for me to ensnare them into my politics as Professor Pamela Gillies, the Vice Chancellor of Glasgow Caledonian University appears to have done? What vote was taken and who was enfranchised? Not very bright but I’m sure it will be very rewarding for some. If I worked at that university I would be emailing the Principal to complain. not allowed, you would be asking for your p45 if you done that! If I worked at that university, I’d be pleading to be given my P45. When we had the last referendum for the devolved parliament,the Unionist No lot had all their ducks lined up to tell how fast they were going to move south of the border if we votes Yes. I think a lot of those people have realised that the sky did not fall in then and will certainly not do so after independence,in fact probably the opposite effect. Just the odd lone duck now quacking around for the No lot. 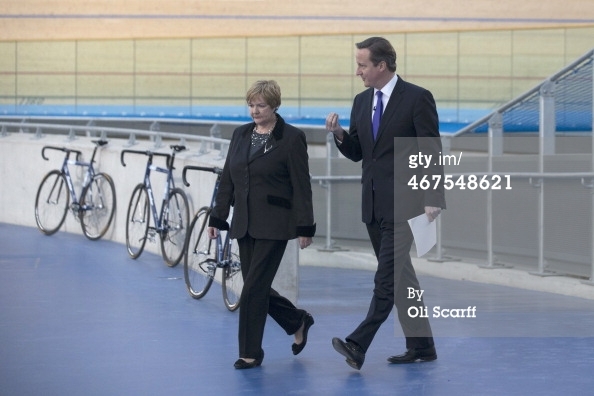 I also felt that the podium sign was to give the impression that Dave was actually in Scotland. I didn’t realise that the Vice Principal had come out for a no vote. Surely that is not the agreed policy of any university in Scotland. I don’t know what Prof. Gillies specialist academic subject is but I doubt if its Statistics. Subjects like Probability, Trend Analysis, etc. Looks to me that she has backed the wrong horse. It was the first thing that struck me about the speech rather than what Cameron said. Surely it can’t be right for a university to take such a stance. I can’t imagine for 1 second that if a university had backed the YES campaign in such a way it would have been ignored by the media. A very controversion move by Professor Pamela Gillies. She may come to regret it. It’s difficult to believe that anyone in PG’s position could be so foolish. Has she considered what the students will make of this? I’ll be surprised if they let this mistake pass without some sort of reaction. systems to elect them) to better compete globally? They’re punting it as a non-political “Global Leadership” speech. That will be their get-out clause fig leaf when they’re accused of being part of the Better Together campaign. Having “Glasgow Caledonian University” and their logo on a lectern used by David Cameron as he makes a televised speech whose single topic is a plea to save the Union links the university leadership directly to the No campaign. They will have seen the speech beforehand and they will have approved of the GCU being linked to both the speech, the content, the No campaign and the Conservative Prime Minister. “Global Leadership” series my arse. An attempt at damage recovery. If I was sitting on their University Court, I’d be going through like a ton of bricks. This wasn’t even on the London campus. Try googling G Cal Uni Global Leadership Lecture for a list of past and future events and nothing comes up…. Thank you for your email of 6 January to the Presiding Officer. I have been asked to respond to you on this occasion. Government. Their contact details can be found at the following link http://www.scotland.gov.uk/Contacts. – can intervene in your organisation’s activities to ensure that they are carried out as he or she wishes. party. However, your organisation can campaign or lobby or take part in other political activity in order to further its charitable purposes. Scottish taxpayers, the majority non Tory supporters, are paying to finance education in Scotland. Watch for a familiar name at this years honours; surely the desired reward ? Was GCU London funded with Scottish Tax money ? Would that be permitted ? Can this info be source via FOI ? 1) Who made the decision to co-host this event and which forums was it discussed within? 2) What was the involvement of GCU’s Marketing and Communications service? 3) What was the involvement of Glasgow School for Business and Society whose Executive Dean John Wilson was present at the event? 4) Who are the next speakers in this purported Global Leadership series and why is there no mention of this series anywhere on the University website? Professor Pamela Gillies CBE. I think the CBE says it all really. As a graduate (1996) of Glasgow Caledonian University, I am angered and insenced at this. The high heid yins at the University do not speak for the allumni. Absolutely disgraceful and I will be writing to the Student Union and University to make my feelings fuuly known. The Union is associated with and the direct cause of high child poverty levels in Scotland. Choose the Union and you support child poverty. GCU are comfortable with this? We had better start hearing a lot of noise from others within GCU or this institution will forever be shamed in the eyes of right thinking Scots. She’ll get an OBE at least. In individualist Britain, isn’t self-advancement what counts? I wonder how many GCU students and staff are proud of the publicity for their institution? University administrators are generally thick, conformist and useless, and would advance their careers better in a fish fingers factory. As a university teacher, I am embarrassed by how low we’ve managed to go. Education as a commodity? It’s not hard-headed realism, just a passing fashion. Surely a modern outward looking university would desire self governance of their own nation.Sorry I forgot Scotland is not a normal nation patriotism has been reinvented here to mean doing what’s best for your own bank balance not your country. She has to go, as in be sacked for total impropriety. This is very disturbing and totally unacceptable from a person of such position and influence. Department for Business, Innovation and Skills (BIS). Where does the money BIS doles out from? Our taxes? Anywhere else? How much does all this SE England based bureaucracy cost to run? From what I have heard an application for a grant is a paperwork marathon. How much does it cost the Universities? How do we know if Scotland gets a fair portion of the money? Does it figure in public expenditure? Could we take our portion and dole it out more efficiently? You would wonder if the fact that she is English, has any baring on the stance taken, on behalf of the University. . . .
You don’t get much for £211,000 pa these days. I think GCU Prinicipal’s is insulting the taxpayer in claiming to be a neutral observer. She should be sacked for this bias move undercover of the very University itself. Can’t imagine that many therein will de happy with this. Even if the best and albeit well intended motives were behind this quite ridiculous endorsement of the BT message by GCU, it is now being used worldwide and is surely something GCU Chancellor Professor Yunus has to take on board. The inequalities and child poverty falling upon Scotland as part of the UK is well documented, which is a major social problem, specifically as BT intends to preserve the very status quo behind it all and particularly now that his Vice-Chancellor has unaccountably linked GCU to it. Also, it makes you question how Professor Gillies can square a circle which tells of a career writing and studying inequality with the potential for social action and then be actively endorsing the perpetuation of all that affects it. Another great post Derek. As Vice President Education of Glasgow Caledonian University Students’ Association I was shocked to say the least with GCU’s involvement with Friday’s speech. My initial reaction is outlined in my blog – http://caledonianblogs.net/gcusa/2014/02/08/i-heard-the-news-today-oh-boy/#.UvkCCuYgGSM however we will be following this up formally with the university this week. i wonder what the comments above would have been if she had backed the yes campaign? I thought Brian Wilson had been too quiet! These people are an unelected cancer on society, who select leaders for the future and are a huge threat to our democracy. Excellent blog, Derek, and much needed given the current inadequacies of reporting over higher education in Scotland. There are countless scandals at GCU (and it should be said elsewhere) that should be in the public domain and despite the good intentions of the von Prondzynski report, too many universities are still being run like tinpot authoritarian states complete with nepotism, corruption and palpably failing governance procedures. Is the silence of the printed press in Scotland about this particular issue due to the media connections of Charles McGhee, former editor of the Herald and now Director of Communications and Public Relations at GCU? You may be interested to know that the Glasgow Caley email contact (website general enquiry form) has been unavailable since the weekend. Anyone who wishes to complain about this ill-advised and partisan event can only do so by letter. It doesn’t require a conspiracy theorist to imagine that the two things are connected. A rather self-serving article also appeared on their News page yesterday afternoon, with the headline “GCU facilitates debate on key issues”. Should university staff not be capable of discerning the difference between debate and a speech in an important situation such as this? The author of this little news piece would be well-advised not to seek a career in journalism, I think (mind you, the piece has all of the characteristics of balance required to work for a UK newspaper at present). Or can we expect the vice-chancellor to provide a lectern with a logo at the same venue, with an appropriate spokesman for independence to make an uninterrupted (and doubtless better) speech? Most odd. GCU seem to be going in for this No business in a big way. Quite why Glasgow Caledonian University has issued a Cease and Desist notice against Logic’s Rock is beyond me. Miss Streisand is clearing her throat! Busted! I wonder if Pam’s been round with a binbag yet to collect the free union flag pencil cases back in. They can keep their “brand UK” t-shirts, they’ll be stinkin’ by now. Leave your personal views to yourself Prof. I doubt if declaring such an opinion is part of your job description! You are in a non-political organisation in which the staff, students will make up their own minds. Is it not a reversal of policy to encourage university students to think for themselves?